Welcome to the Hayhouse.com Website, this site is owned and operated by Hay House, Inc. If you are not satisfied with your purchase, please refer to the terms outlined in Hayhouse.com’s Return Policy. User acknowledges that the Hayhouse.com Website contains Content that are protected by copyrights, trademarks, trade secrets, or other proprietary rights, and that these rights are valid and protected in all forms, media and technologies existing now or hereinafter developed. 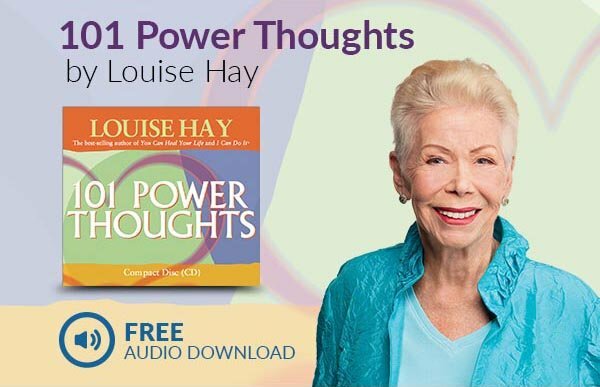 All Content is copyrighted as a collective work under the U.S. copyright laws, and Hayhouse.com owns a copyright in the selection, coordination, arrangement, and enhancement of such Content. User may not modify, remove, delete, augment, add to, publish, transmit, participate in the transfer or sale of, create derivative works from, or in any way exploit any of the Content, in whole or in part. If no specific restrictions are displayed, Users may make copies of select portions of the Content, provided that the copies are made only for User's personal use and that User maintains any notices contained in the Content, such as all copyright notices, trademark legends, or other proprietary rights notices. Except as provided in the preceding sentence or as permitted by the fair use privilege under the US copyright laws (see, e.g., 17 U.S.C. Section 107), User may not upload, post, reproduce, or distribute in any way Content protected by copyright, or other proprietary right, without obtaining permission of the owner of the copyright or other propriety right. In addition to the foregoing, use of any software Content shall be governed by the software license agreement accompanying such software. In some instances, the Content available through the Hayhouse.com Website represents the opinions and judgments of the respective third party providing such Content. Hayhouse.com neither endorses nor is responsible for the accuracy or reliability of any opinion, advice, or statement made on the Hayhouse.com Website by anyone other than Hayhouse.com. Under no circumstances shall Hayhouse.com, or its affiliates, or any of their officers, directors, employees, or agents be liable for any loss, damage or harm caused by a User's reliance on information obtained through the Hayhouse.com Website. It is the responsibility of User to evaluate the information, opinion, advice, or other Content available through the Hayhouse.com Website. When you activate a course, you get access to view and access the course materials. Don’t try to transfer or resell courses in any way. We grant you a lifetime access license, except when we must disable the course because of legal or policy reasons. Hayhouse.com may suspend or terminate any User's access to all or any part of the Hayhouse.com Website including any account thereon, without notice, for any reason in Hayhouse.com's sole discretion. User recognizes that the traffic of data through the Internet may cause delays during the download of information from the Website and accordingly, it shall not hold Hay House, Inc. liable for delays that are ordinary in the course of Internet use. User further acknowledges and accepts that Hayhouse.com may not be available on a continual twenty-four hour basis due to such delays, or delays caused by Hay House, Inc. upgrading, modification, or standard maintenance of Hayhouse.com. THE HAYHOUSE.COM WEBSITE IS PROVIDED BY HAY HOUSE INC. ON AN "AS IS" AND "AS AVAILABLE" BASIS. TO THE FULLEST EXTENT PERMISSIBLE BY APPLICABLE LAW, HAY HOUSE INC. DISCLAIMS ALL IMPLIED WARRANTIES. WITHOUT LIMITING THE FOREGOING, HAY HOUSE INC. MAKES NO REPRESENTATION OR WARRANTY OF ANY KIND, EXPRESS OR IMPLIED: (I) AS TO THE OPERATION OF THE HAYHOUSE.COM WEBSITE, OR THE INFORMATION, CONTENT, MATERIALS OR PRODUCTS INCLUDED THEREON; (II) THAT THE HAYHOUSE.COM WEB SITE WILL BE UNINTERRUPTED OR ERROR-FREE; (III) AS TO THE ACCURACY, RELIABILITY, OR CURRENCY OF ANY INFORMATION, CONTENT, SERVICE, OR MERCHANDISE PROVIDED THROUGH THE HAYHOUSE.COM WEBSITE; OR (IV) THAT THE HAYHOUSE.COM WEBSITE, ITS SERVERS, OR E-MAIL SENT FROM OR ON BEHALF OF HAYHOUSE.COM ARE FREE OF VIRUSES OR OTHER HARMFUL COMPONENTS. HAY HOUSE INC. DOES NOT GUARANTEE THE CONTINUOUS, UNINTERRUPTED OR SECURE ACCESS TO THE HAYHOUSE.COM WEBSITE OR ANY RELATED SERVICES. THE OPERATION OF THE HAYHOUSE.COM WEBSITE MAY BE INTERFERED WITH BY NUMEROUS FACTORS OUTSIDE THE CONTROL OF HAY HOUSE INC. UNDER NO CIRCUMSTANCES SHALL HAY HOUSE INC. BE LIABLE FOR ANY DAMAGES THAT RESULT FROM THE USE OF OR INABILITY TO USE THE HAYHOUSE.COM WEBSITE, INCLUDING BUT NOT LIMITED TO RELIANCE BY A USER ON ANY INFORMATION OBTAINED FROM THE HAYHOUSE.COM WEBSITE OR THAT RESULT FROM MISTAKES, OMISSIONS, INTERRUPTIONS, DELETION OF FILES OR EMAIL, ERRORS, DEFECTS, VIRUSES, DELAYS IN OPERATION OR TRANSMISSION, OR ANY FAILURE OF PERFORMANCE, WHETHER OR NOT RESULTING FROM ACTS OF NATURE, COMMUNICATIONS FAILURE, THEFT, DESTRUCTION, OR UNAUTHORIZED ACCESS TO HAYHOUSE.COM'S RECORDS, PROGRAMS, OR SERVICES. USER HEREBY ACKNOWLEDGES THAT THIS PARAGRAPH SHALL APPLY TO ALL CONTENT, MERCHANDISE, AND SERVICES AVAILABLE THROUGH THE HAYHOUSE.COM WEBSITE. If you have a dispute with HayHouse.com, and you are unable to resolve the dispute informally, you and HayHouse.com agree that upon demand by either you or HayHouse.com, the dispute will be resolved through binding arbitration. As the sole exception to arbitration, you and HayHouse.com each retain the right to pursue in small claims court any dispute that is within that court’s jurisdiction. A “dispute” is any unresolved disagreement between you and HayHouse.com, regardless of when the claim arose, and includes claims based on contracts, torts, statutes, regulations, common law, and equitable claims. All statutes of limitation applicable to any dispute shall apply in any arbitration between you and HayHouse.com. Each arbitration, including the selection of the arbitrator, will be administered by the American Arbitration Association (the “AAA”) according to its Commercial Arbitration Rules and the Supplementary Procedure for Consumer-Related Disputes (together, the “AAA Rules”). The AAA Rules are available online at www.adr.org, or by calling the AAA at 1-800-778-7979. In the event of any inconsistency between the AAA Rules and this arbitration provision, this arbitration provision shall be controlling. Either party may demand arbitration of a dispute at any time, regardless of whether a lawsuit or other proceeding has previously been commenced. Either party may demand arbitration by completing the form for Consumer-Related Disputes provided for that purpose, and following the instructions on the form. The form is available on the AAA’s website, www.adr.org, or by calling AAA Case Filing Services at 1-877-495-4185. You should attach a copy of this arbitration provision, which will remain available online. If you demand arbitration, you must send a copy of the form or other demand, by U.S. Certified Mail, addressed to: Hay House, Inc., Attention: Legal Department, P.O. Box 5100, Carlsbad, CA 92010-5100. If HayHouse.com demands arbitration, you will be sent a copy of the form or other demand, by U.S. Certified Mail, at the most current postal address that HayHouse.com has for you in its records. If your claim is for less than $10,000, HayHouse.com will pay all of the AAA’s administrative fees and the arbitrator’s fees, including the initial filing fee. If your claim is for more than $10,000, and applicable law limits the amount of arbitration fees payable by you, HayHouse.com will pay all of the AAA’s administrative fees and the arbitrator’s fees in excess of this limitation. Except as otherwise provided by applicable law, each party will remain solely responsible for their own attorneys’ fees and expenses incurred in connection with the arbitration. You and HayHouse.com agree that: (1) the parties are participating in transactions affecting interstate commerce; (2) this arbitration provision and any resulting arbitration are governed by the Federal Arbitration Act (Title 9 of the United States Code); (3) the arbitrator shall decide any dispute regarding the interpretation, application, or enforceability of this arbitration provision; (4) neither party will disclose, to any third party, any information obtained from the other party in the arbitration proceeding, except as required by applicable law; and (5) neither party will be entitled to rely on any arbitration award, finding of fact, or conclusion of law issued in any other arbitration proceeding involving only one of the parties. This arbitration provision shall survive the termination of any other contract between you and HayHouse.com. From time to time, we may update these Terms to clarify our practices or to reflect new or different practices (such as when we add new features), and HayHouse, Inc. reserves the right in its sole discretion to modify and/or make changes to these Terms at any time. Modifications will become effective on the day they are posted unless stated otherwise. Your continued use of our Services after changes become effective shall mean that you accept those changes. Any revised Terms shall supersede all previous Terms.